"A new approach to plant protection involves vaccinating plants against pathogens with double-stranded RNA molecules that can be sprayed directly on the leaves," explains Dr Minna Poranen of the Molecular and Integrative Biosciences Research Programme at the University of Helsinki's Faculty of Biological and Environmental Sciences. The vaccine triggers a mechanism known as RNA interference, which is an innate defence mechanism of plants, animals and other eukaryotic organisms against pathogens. The vaccine can be targeted to the chosen pathogen by using RNA molecules which share sequence identity with the pest's genes and prevents their expression. "The challenge in developing RNA-based vaccines to protect plants has involved the production of RNA molecules. 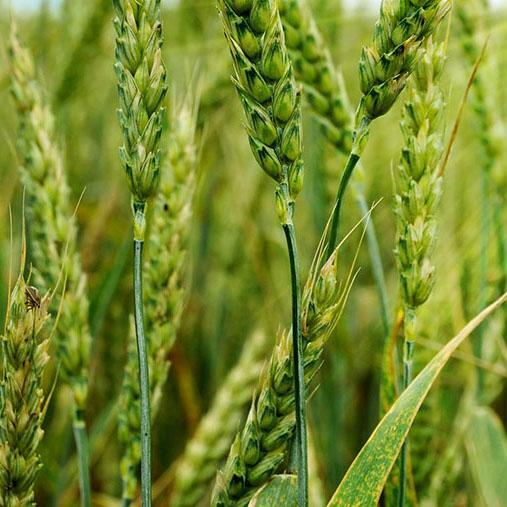 Double-stranded RNA molecules have been produced through chemical synthesis, both as drug molecules and for research purposes, but such production methods are inefficient and expensive for plant protection," Poranen states. As part of the Academy of Finland's Synthetic Biology Research Programme, Poranen's group has developed a new production method for double-stranded RNA molecules. Together with researchers at the CNRS, the group has demonstrated the efficacy of RNA-based vaccines produced using the new method against plant virus infections. The method utilises the RNA amplification system of a bacteriophage, i.e. a bacteria-destroying virus, and the RNA production takes place in bacterial cells. This new method will enable the effective production of RNA-based vaccines and promote the development and adoption of RNA-based plant protection methods. "It's difficult to predict when the vaccine will be made available because no relevant legislation exists yet," Poranen says.